Applications have closed! See you at PennApps! Hosted at the nation's first university, PennApps is the original college hackathon. Come join us to learn something new, build an app, or start a company. Let's continue to make history together! In the context of a hackathon, the word "hack" is used to describe how multiple technologies can be used together in a new and innovative way. Teams of up to four people spend the weekend working on innovative software and hardware solutions to real-world problems. These projects range in platform and application, including elements of web development, mobile applications, drones, and more. However, many times the most important aspect of a hackathon is the community it generates and skills that inexperienced hackers walk away with. Founded in the fall of 2009, PennApps was the nation's first student-run college hackathon. Since then, it has spurred a revolution in the way engineering students develop and showcase their skills, spawning an entire "league" of hackathons across the nation. In past years, over a thousand students from the U.S. and other countries like Switzerland, Canada, England, and Singapore have converged in Philadelphia for the spring and fall editions of the event for a weekend of creation and discovery. Both beginners and experts alike will work together, learn and compete to become better engineers and work on awesome projects. This year, PennApps is expanding its focus on learning by emphasizing the collaboration of new and experienced hackers, and providing more learning opportunities and workshops throughout the weekend. At the end of every cycle, we ask the PennApps family if they would like to be a campus ambassador for PennApps. What this entails is spreading the word about PennApps at your local school, college or university. Campus ambassadors are an important part of the PennApps community and receive custom swag and perks at and before the event. Campus ambassadors applications are now open. PennApps is partnering with Architechs again this year to let hackers get their hands dirty with hardware hacking. Whether you have vast experience with hardware or want to try it for the first time, our team of hardware volunteers will help you learn to use the cool gadgets we’re o ering to build something incredible. We will be providing access to laser cutters and 3D printers as well as having our hardware check-out station to help make your hack the best one out there. PennApps aims to provide a wide array of hardware to interested hackers. A list of our previous parts can be found here. If you have any suggestions for specific hardware you’d like to see this, fall, please fill out this form with our requests. If you have any specific inquiries, feel free to reach out to David W. at david@pennapps.com . Routes will continue this spring to provide you with additional and incentive when you hack on specific themes or just cool things to be a part of in addition to your hack. Think of Routes as a series of forks you can take, each adjusting your final destination by a bit. The right combination will help make your hack that much better, and each one you choose to take could lead to a very special payoff. This cycle’s Routes will be announced soon. Thousands of qualified candidates apply to participate in PennApps every year, however our space can only support a limited number of participants and as much as we'd like to take everyone, it just isn't possible. We think that the fairest way to decide who we invite is by asking everyone to tell us a little bit about themselves, so that we can invite people who have demonstrated interest and skill. We don't expect everyone to have been to a hackathon before, in fact, we love first-time hackers having been there ourselves when we started! We're just trying to bring those who most want to really build something awesome and learn something new, and while we can't invite everyone, we're striving to continue building a community of diverse and amazing hackers at PennApps. Just show us what you've made, tell us about why you want to be at PennApps, and we'll do our best to get you here! By growing to become the largest hackathon in the nation, we hope to double the number of people we can invite to PennApps, so get ready for a life-changing experience! We know you have a lot of questions, so check below for some of the most common answers (and this document for even more) or drop us a line at contact@pennapps.com . How much will PennApps cost me? Not only will we provide you with a weekend's worth of swag, meals, drinks, and snacks and a place to crash when you need a break from coding, we'll even help cover your travel. Don't need: a pre-determined team, an idea for an app, food or drink. Please don't bring: Firearms or other weapons, alcohol, illegal drugs, soldering or similar equipment, animals (no matter how adorable). When you're accepted, we'll have a page where you can submit your required travel reimbursement forms and receipts. For each location hackers will be coming from, we’ll determine a reasonable cap. We will reimburse travel costs up to this cap—if you go over, we'll still reimburse the amount of the cap, but no more. PennApps will start with the kick-off ceremony at Penn Engineering Quad. There will be events planned throughout the day for those who arrive early. A detailed schedule of events and locations will be posted later. All work eligible for prizes must be completed between Friday night after the kick-off and Sunday morning. It's not about winning—it's about learning and making friends that last for a lifetime (so everyone's a winner!). If you're thinking, "that's adorable...but really," then we've got you covered too. A panel of professional judges will select the top three hacks based on the following criteria: creativity, technical difficulty, polish, and usefulness. Top prizes are TBA, but usually involve thousands of dollars and insane perks from company sponsors. Most sponsors offer their own prizes too for specific categories, which they judge and fund themselves. We had well over $40k worth of prizes up for grabs last time including Nintendo Switches and Oculus Rifts, if you like numbers. I'm interested in using hardware for my hack? You're in luck! We have a whole team of organizers devoted to hardware. Check out the hardware section to see what they have planned. We're looking for creative and innovative people with a set of skills that can contribute to a project - mobile, web, hardware, design, or anything else really cool. We generally prefer people that have proven their abilities in previous projects, evident through links, project descriptions, Github profiles, video demos or participation/awards in other hackathons. We don't require that you've participated in a hackathon ever before, but show us what makes you special in whatever way is most natural. The application will close July 14th at 11:59pm EDT. Any college, university, or high school student 15 years old or older on September 1st, 2017 is eligible to apply. Should Penn students fill out the application too? Nope! We'll have a separate registration process for Penn students only later in the summer. Every Penn student who wants to participate is free to, as long as they register in advance. No application process. If you're new to programming, we'll be running workshops for Penn students in the weeks leading up to the event (look out for Code Weekend! ), and Friday evening of PennApps. I'm not a student, so how can I get involved? Unfortunately, we can't allow you to participate in the event or be on site during hacking. If you're looking to mentor (i.e. someone with technical skills who'd be willing to help out participants during the weekend), you should reach out to us at [email protected] Otherwise, you can see the finished products at the demos on Sunday (time and location TBA).  PennApps is planned almost entirely by (sleep-deprived) University of Pennsylvania students, with some advice and assistance from our friends at Penn Engineering. One hundred percent of the funding for PennApps comes from corporate sponsor donations. You can find more information about sponsoring at our sponsor section. Be respectful and considerate of your fellow hackers. We're all here to learn and have a good time. Everyone deserves the chance to hack free of the fear of being harrased. See the code of conduct for more details. What should I do if I have additional questions or want to express my limitless gratitude? Aw shucks. First check out this for more FAQs that will be updated in real time and if you really must thank us shoot us an email at contact@pennapps.com . Working with PennApps as a sponsor provides companies a unique opportunity to reach some of the nation's most talented college students. Interested in sponsoring? Send us an email at sponsor@pennapps.com for more details! "PennApps is the gold standard for student-run hackathons." "This was probably the most well organized hackathon I have attended, and I was blown away by the quality of projects the students produced. We were thrilled to be a sponsor!" "PennApps - where students make the impossible possible." "PennApps one of the best organized hackathons we've sponsored. There were some really great engineers there building inspiring products. We're really grateful for the opportunity to have been involved with PennApps, and got way more out of it than we even imagined!" "PennApps provides a great opportunity for students to engage and leverage sponsors to create fun and innovative projects."